The Azerbaijani group of companies Karvan-L plans to implement the ambitious project - "Fish Center" in the Fujairah emirate of the UAE, President of the group of companies Abulfaz Gafarov told Trend. 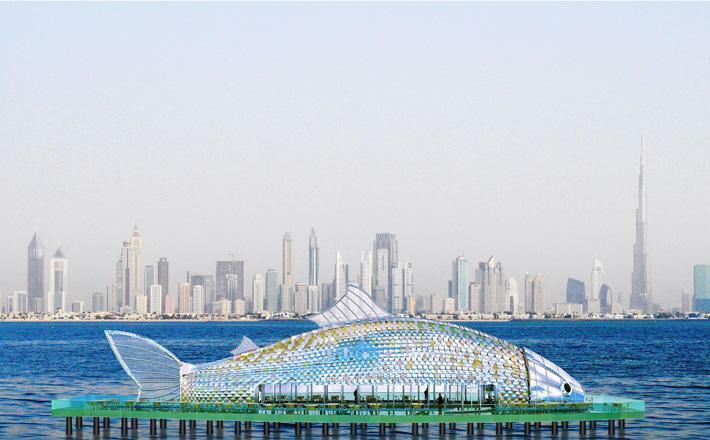 According to him, Karvan-L is planning to raise a giant building in the form of a fish in the capital of the emirate, Fujairah City. The estimated length of the fish-like building is 100 meters, width and height – 20 meters. It will have three storeys and will be able to accommodate fish restaurants, shops and other establishments. Gafarov noted that head of the municipality of the emirate Mohamed Saif Al-Afkham arrived in Baku last week to discuss the details of the project's implementation. The parties managed to reach a preliminary agreement. "The negotiations were successful, and the Arab side was seriously interested in our project. We agreed that this building could become a new symbol of the capital of the emirate. I would like to note that the successful implementation of the project will help promoting both our group of companies and Azerbaijan in general," Gafarov said. The president of Karvan-L noted that the group of companies plans to implement this project in other countries as well. According to him, negotiations are underway with interested parties in Saudi Arabia, the US, Kazakhstan, Belarus, and Nigeria. Karvan-L began operations in 1993. The group of companies produces construction materials, special equipment, chemical and agricultural products, as well as is engaged in the design, engineering and recycling of industrial waste, with three enterprises in Baku and an industrial park in the city of Aghstafa. Karvan-L exports its products to 15 countries of the world. In January-September 2018, trade turnover between Azerbaijan and the UAE amounted to $39,396,080, of which $15,419,660 accounted for exports from Azerbaijan, and $23,976,420 dollars – for imports from the UAE.